due to arrive next week. Bring your border measurements, this is a great time to get quilt backing or build your stash. Our buses are filling up. for incentives and bus information or give us a call. 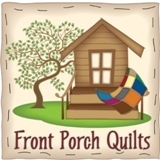 Don’t hesitate; sign up today to guarantee your seat on the NW Quilt Tour. All meals and lodging included and you will collect 10 yards of 'Cabana' Batiks, by Moda.